The Eatventurers: What's inside The Corner Market Food Hall? 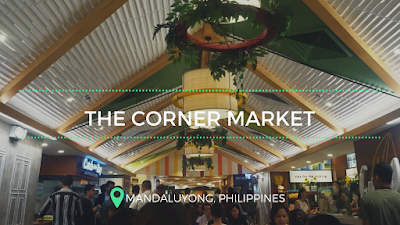 With 17 stalls that offer fresh finds and ready-to-eat meals from old favorites and new concept stores, good food is literally just around the corner. 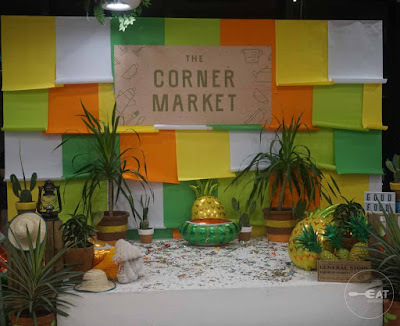 The Corner Market is really changing the food court game. It is spacious and definitely Instagram-worthy. The Eatventurers got to try some of the stalls during an Instagram party last month. 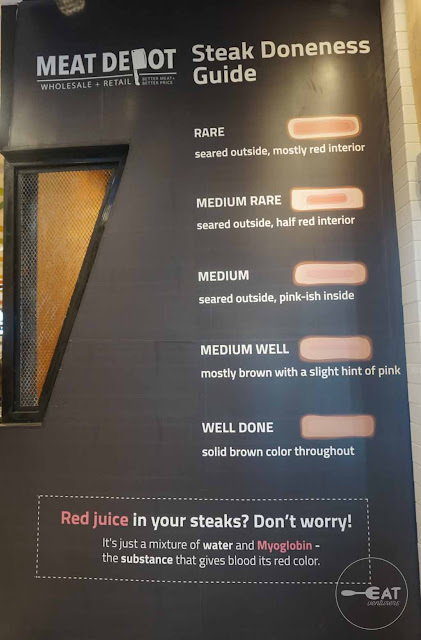 It was also their soft-opening period. What better way to start your food hall crawl but to sip on a well-brewed coffee. 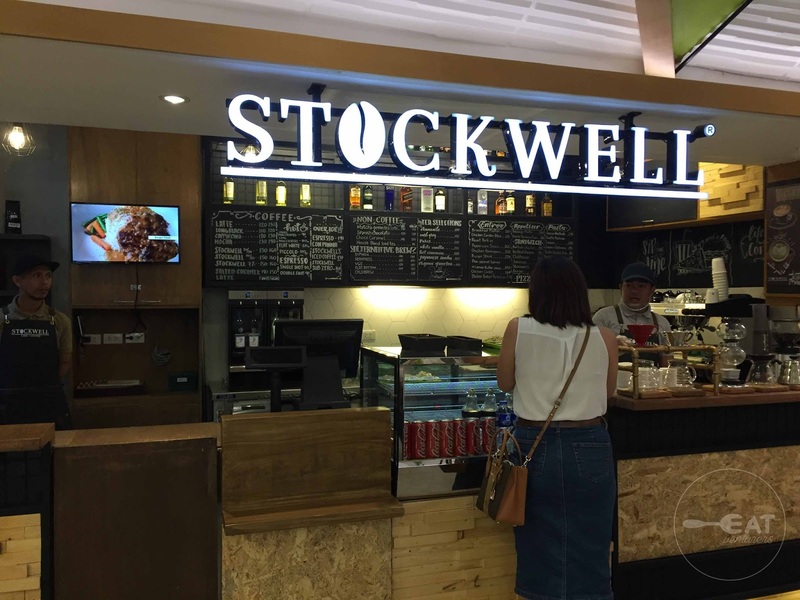 Stockwell Cafe + Lounge is a third wave cafe offering specialty coffee and even non-coffee beverage, cold or hot, and wine, among others. 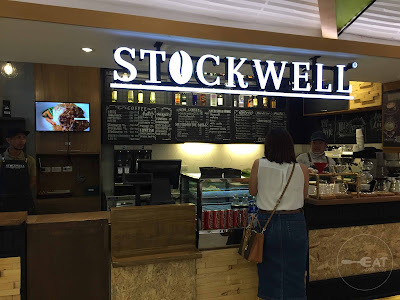 They also offer gourmet appetizers, sandwiches, pastas, and desserts. 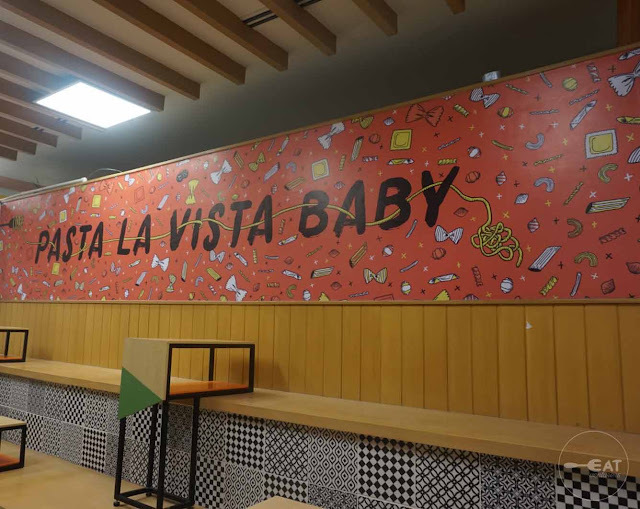 The cafe also serves main entree such as rib-eye steak, roast pork, longganisa, pork chop, pan-seared salmon, burger steak and bulgogi, among others. Welcome to the gulayf! 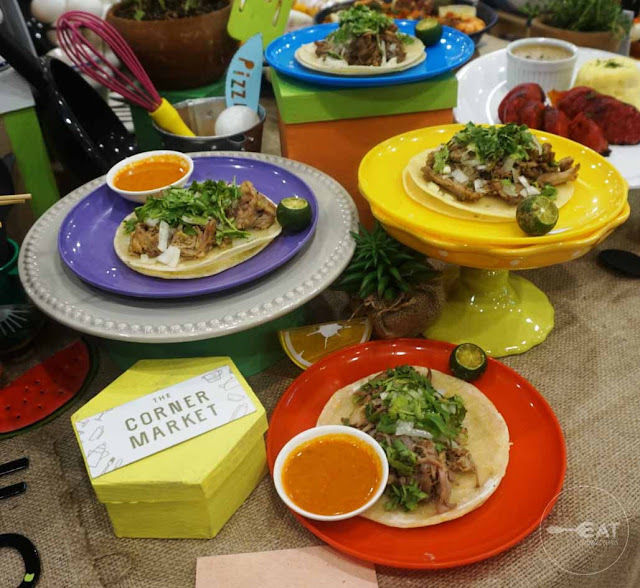 True to the Corner Market's theme, Gusto brings in the fresh and healthy treats in the market. 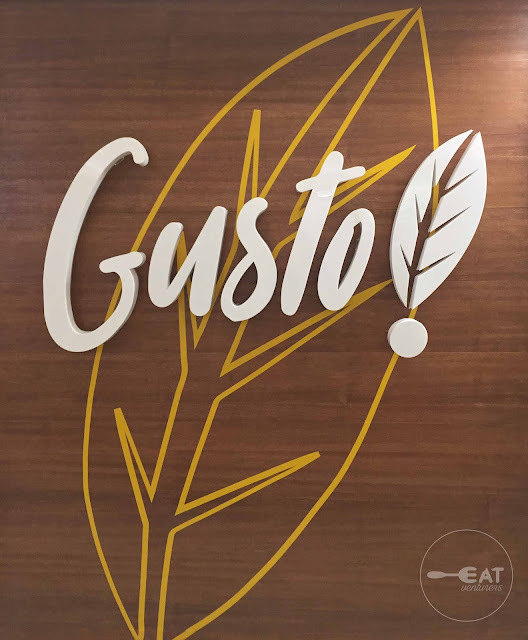 They offer gusto bowls, fresh green salads, sandwiches and hearty soup. 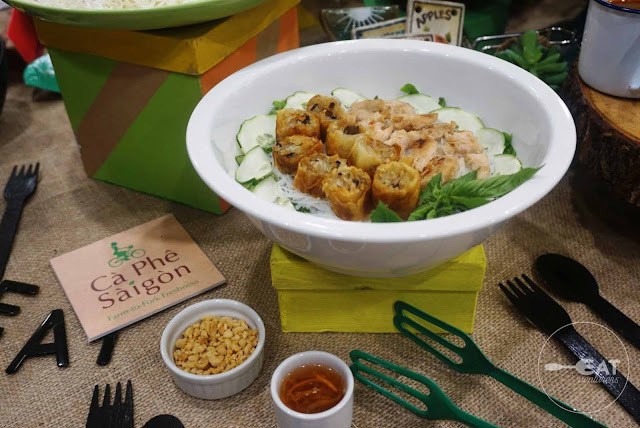 You can even make your own gusto bowl with a choice of your sauce, protein and base of adlai, heirloom rice, vermicelli or soba. 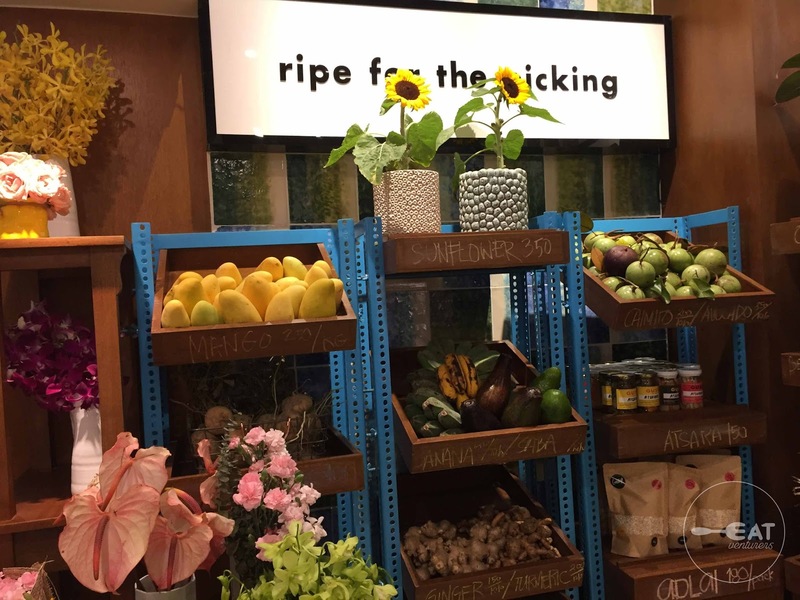 They also sell fresh fruits and plants, ripe for the picking. 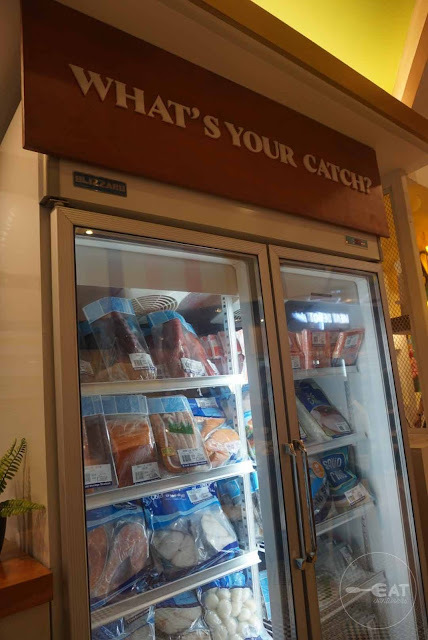 Aside from home-grown treats, Corner Market also houses fresh treats from the sea courtesy of Catch of the Day by Cold Storage. You can purchase your favorite seafood and have them grilled by just adding P120. You can even watch it grilled in front of you. 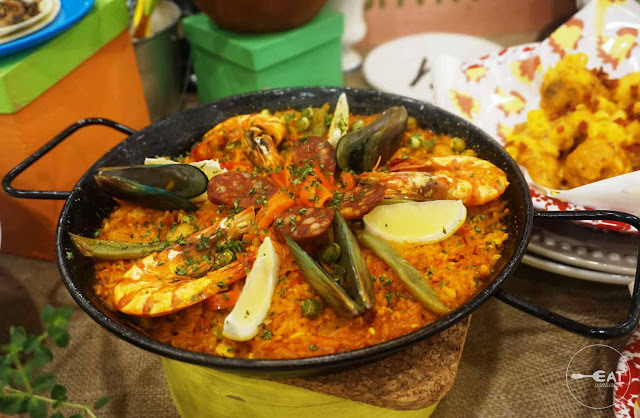 Partner it with rice or mashed potato depending on your preference. 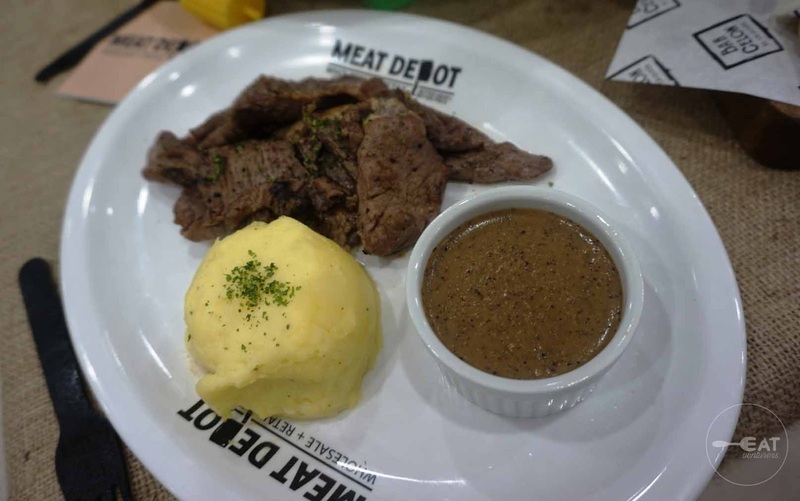 If you are into meat, whether fresh or cooked, Meat Depot is right choice for you. They cook your steak upon purchasing from their fridge full of raw protein goods. 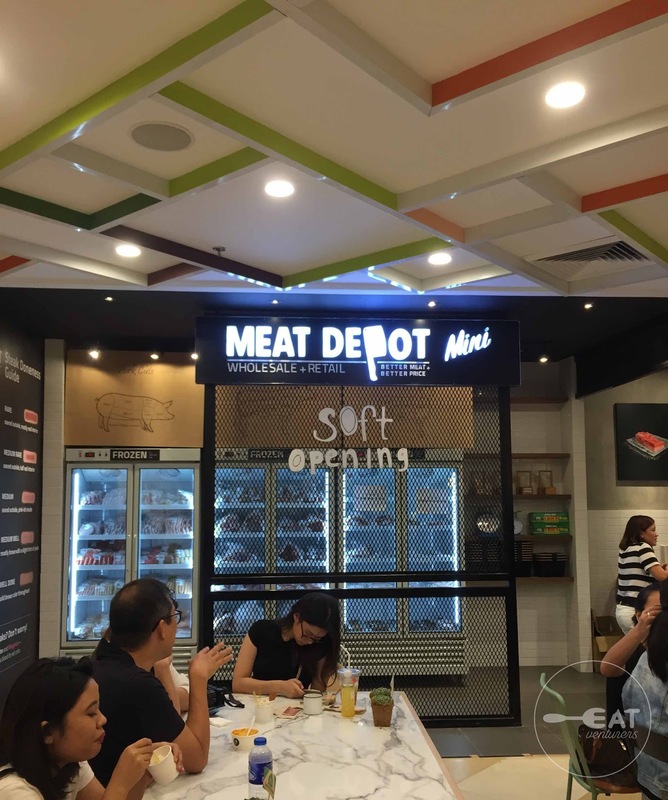 Meat Depot is known for their steaks which you can partner with rice, mashed potatoes, steak rice, creamed spinach, macaroni salad, coleslaw, corn and coarrots, signature side salad, or their soup of the day. 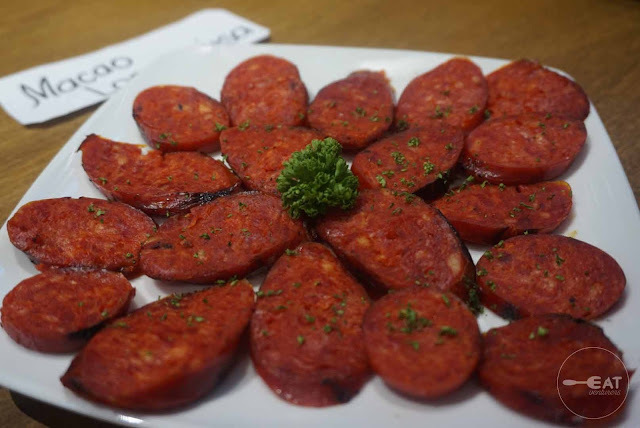 But Meat Depot also offer other kinds of meat such as bacon, longganisa, chorizo, and tapa, among others. 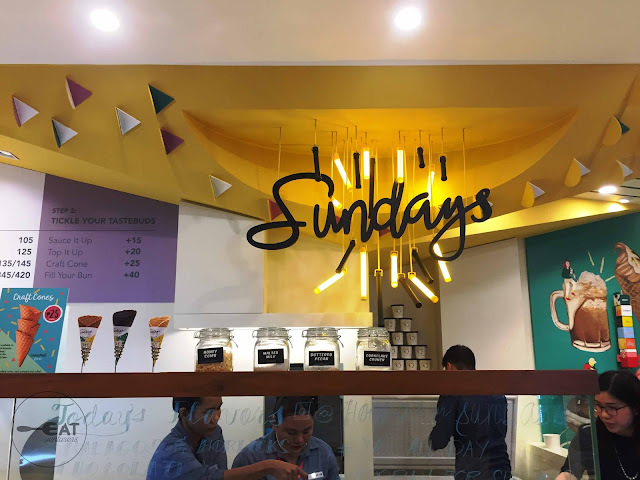 The first time we tried Mery Moo in 2014, we fell in love with it so we're sure you'd love their Sundays ice cream stall in Corner Market Food Hall, too. With wide range variety of unique flavors, this is your go-to place for dessert. 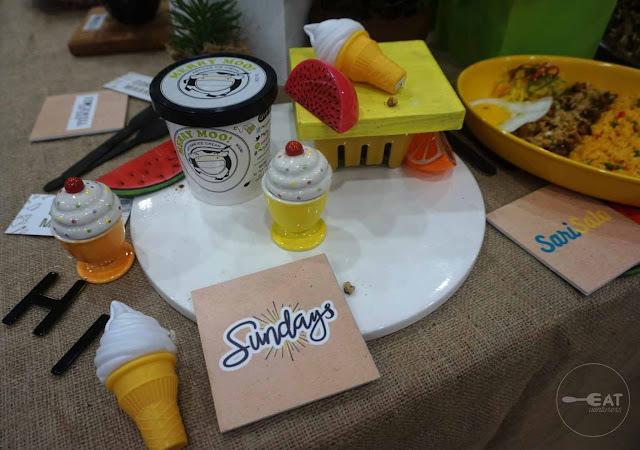 You can enjoy the ice cream in a cone or cup. It is really perfect for summer. 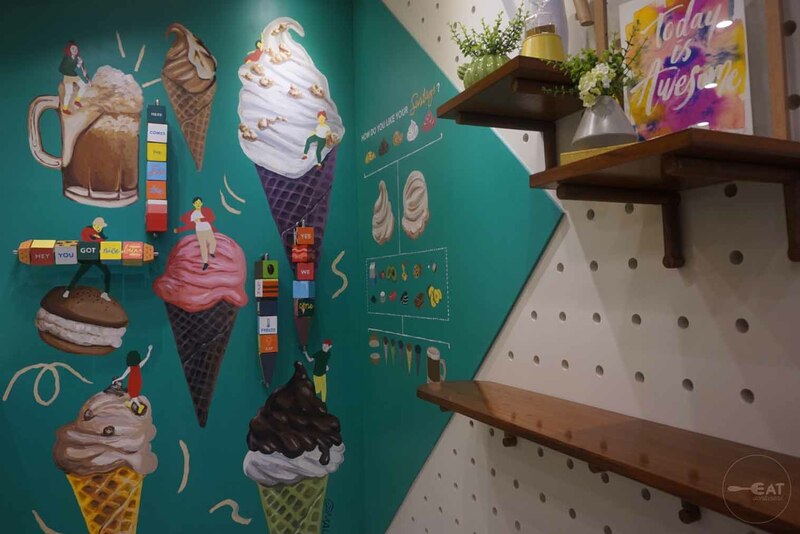 While you beat the heat, also feast your eyes on their Instagrammable wall decor. 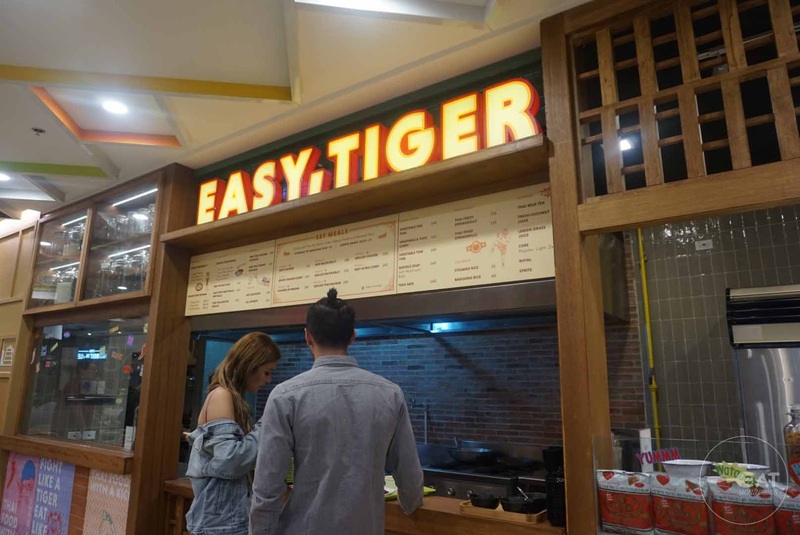 For your Thai food cravings, Easy, Tiger, is here to save the day. 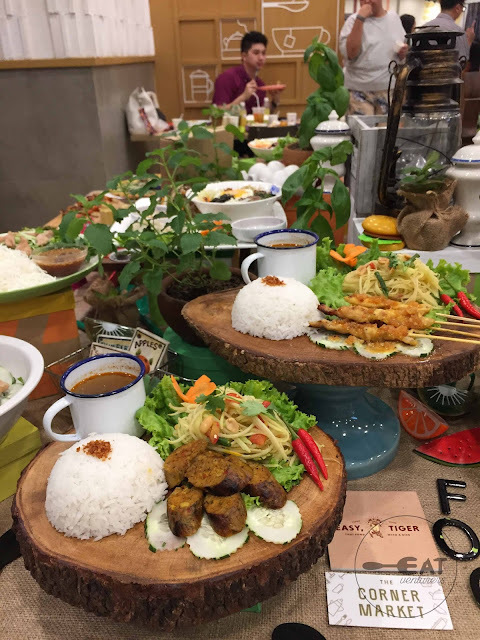 The establishment is by the Jatujak group so rest assured that it offers quality Thai food at an affordable price. We were not able to try Char Express but they offer Cantonese roast meat. 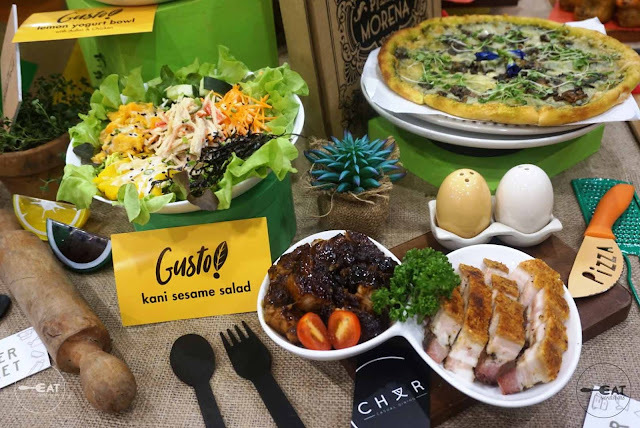 Among their bestsellers are Roast Duck, Special Char Siew, Crispy Roast Pork Belly. 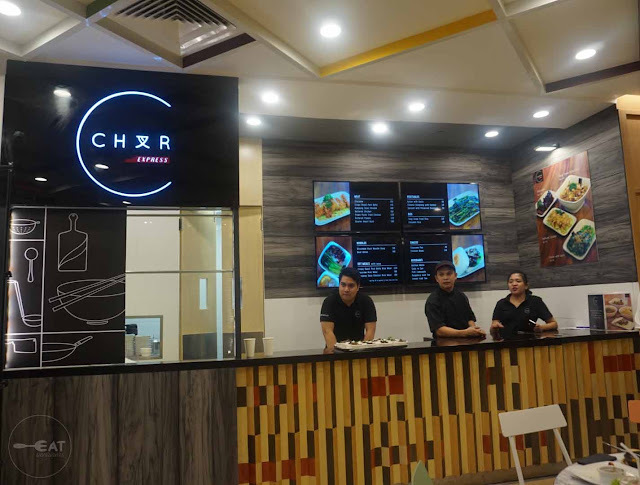 Char Express' flagship store is located at Uptown Mall, BGC. Chicken lovers unite at BirdHouse! 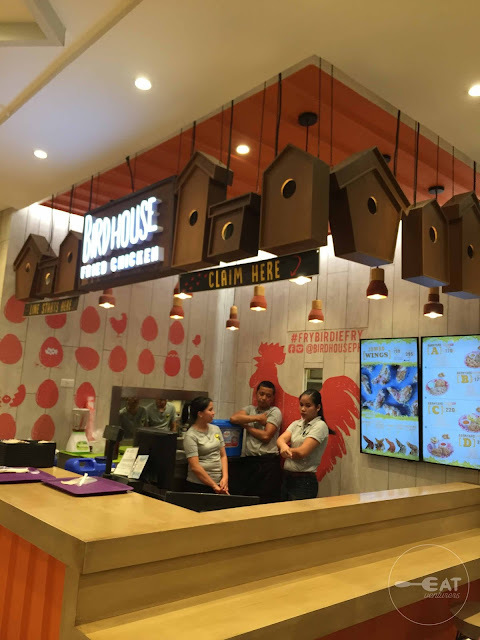 What sets this apart from other places that sells fried chicken is that they offer JUMBO WINGS. We repeat, JUMBO WINGS! 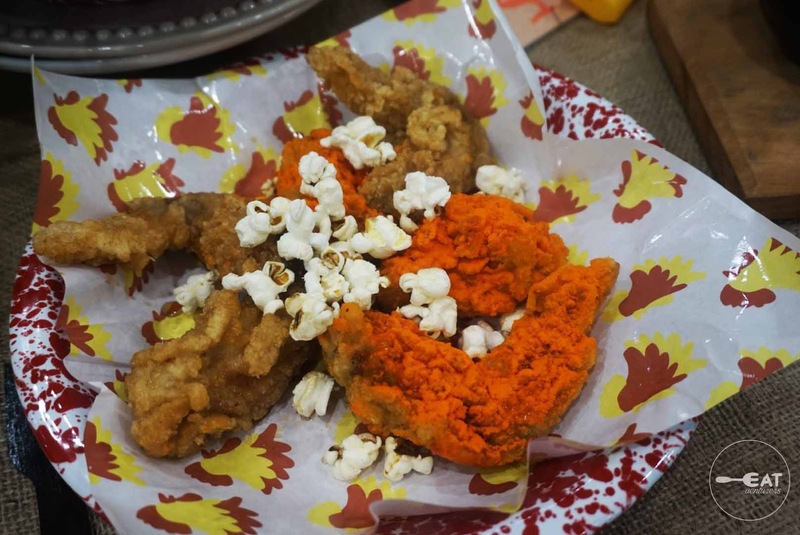 These wings are available in various flavors such as roasted garlic parmesan, smokehouse BBQ, cheese and caramel popcorn, K-bomb, pepper cream, and bacon mac and cheese. 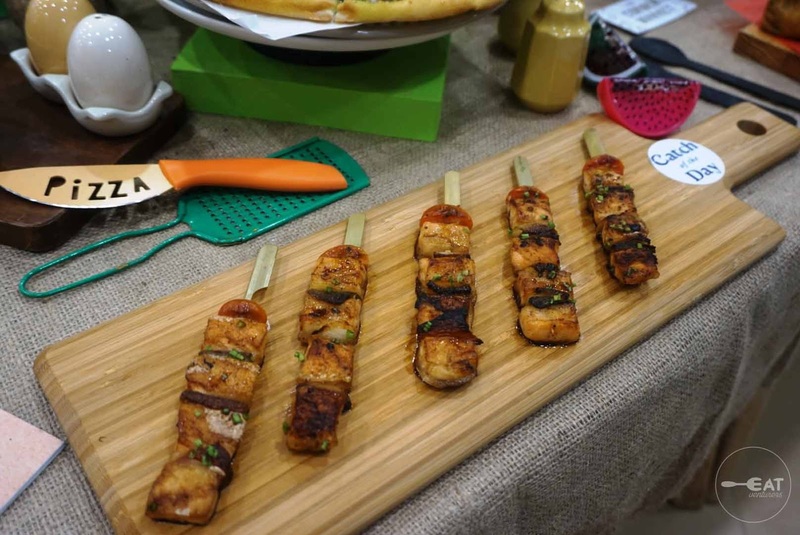 You can pair it with different flavors of sauces. 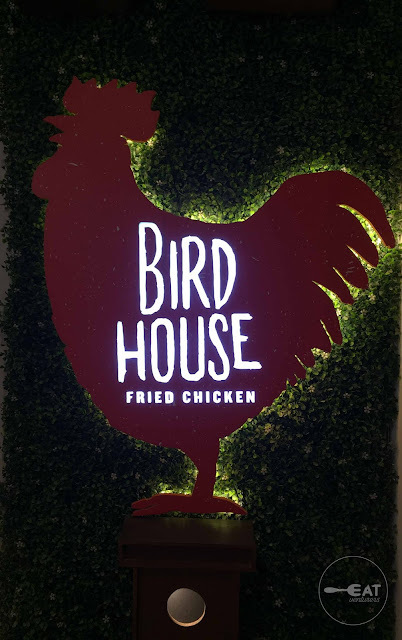 Aside from wings, BirdHouse offers chicken tenders, crispy chicken wings, fried chicken sandwich, among others. 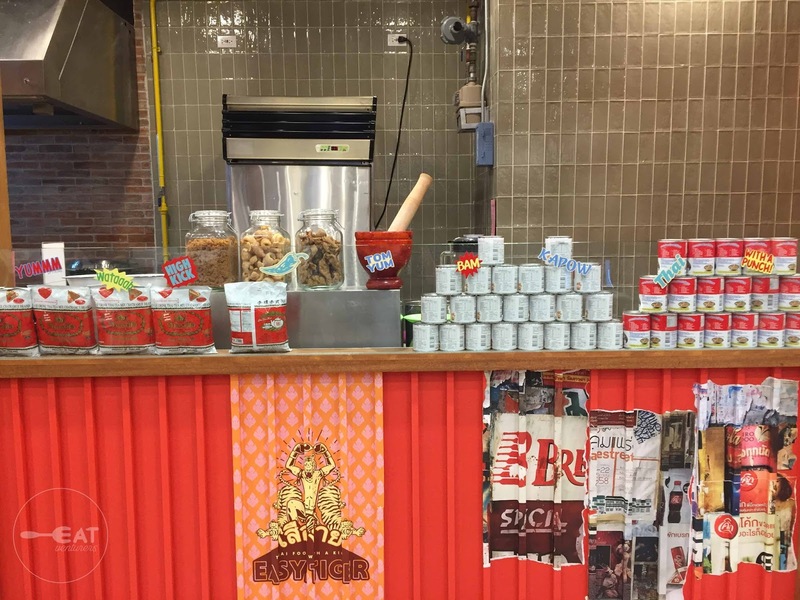 They also have sides: garlic fries, dirty rice, elote corn, korslaw, and mac and cheese. BirdHouse also has a branch in Uptown Mall, BGC. 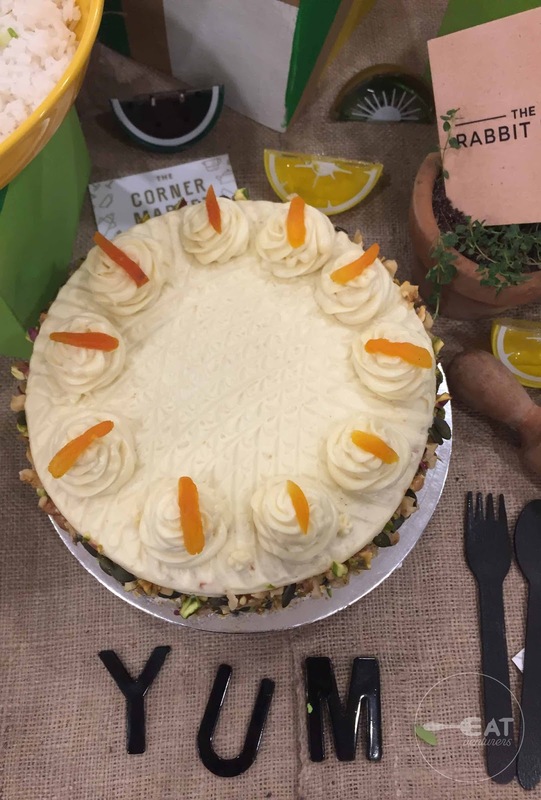 Looking for freshly-baked, beautifully-designed cakes? 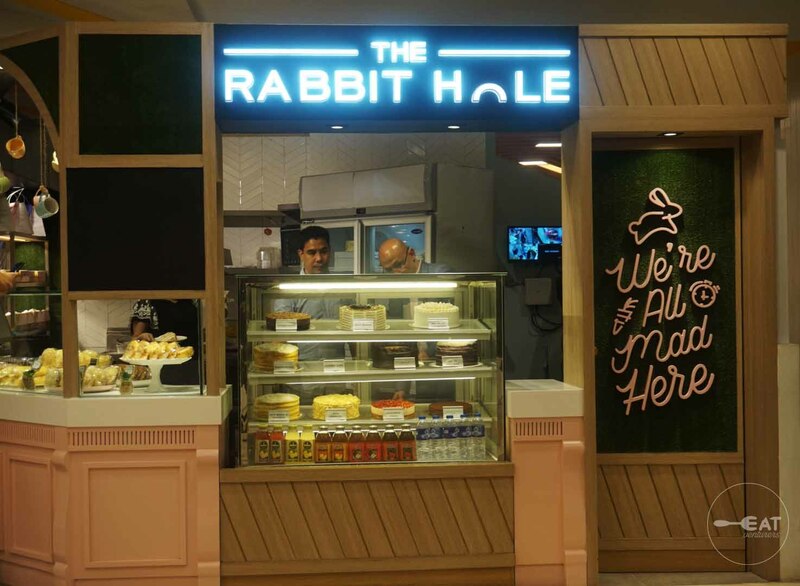 Rabbit Hole is the answer to your problem. Just like its Makati main store, Rabbit Hole does not only offer cakes and pastries. 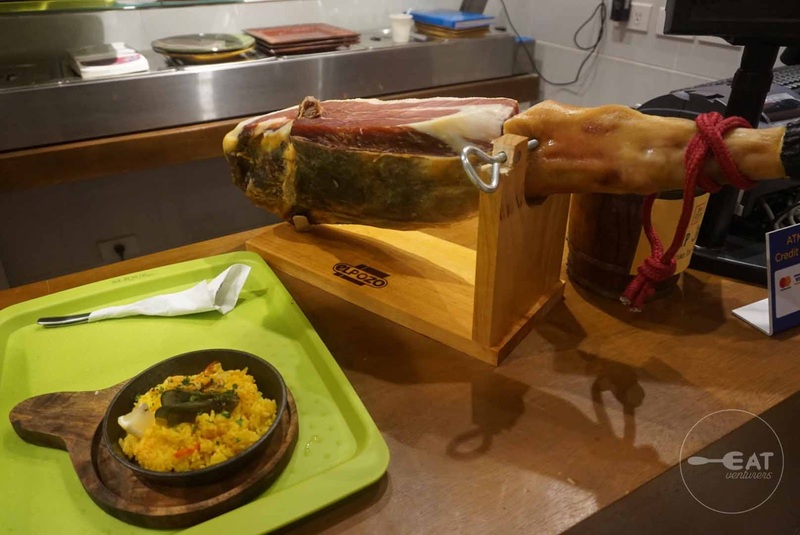 It also offer international dishes. 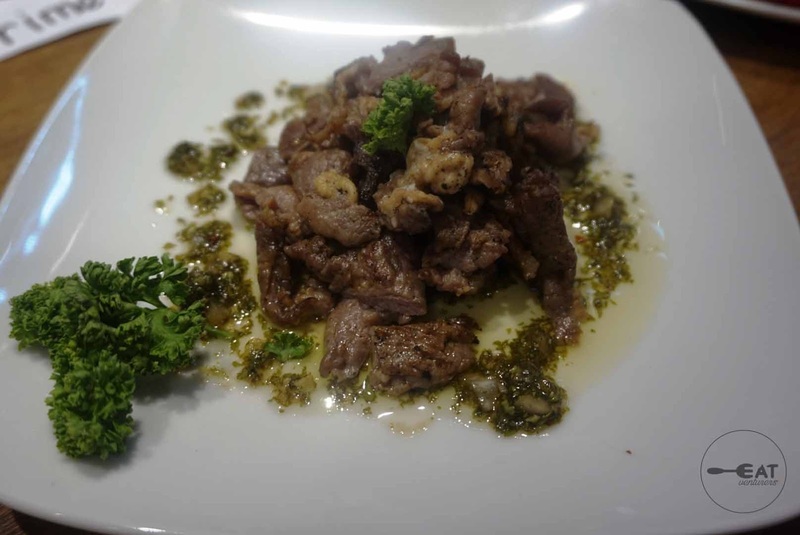 Still opening soon, Sari-Salo is a Filipino concept by Myron's Steak House. We read from reports that they would offer angus sisig. 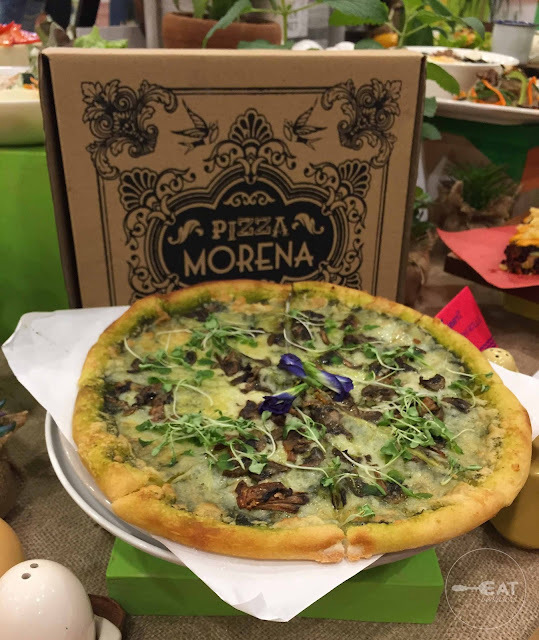 What's a food hall without pizza? Pizza Morena offers brick-oven pizza with fresh, healthy and organic ingredients. 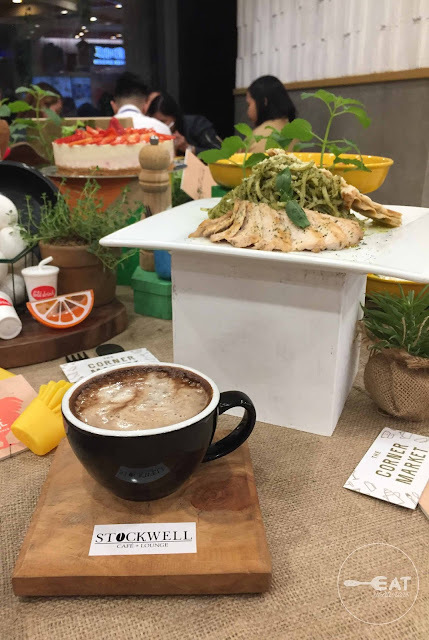 We were not able to try that but it sure is perfect to share with your friends. iHola! 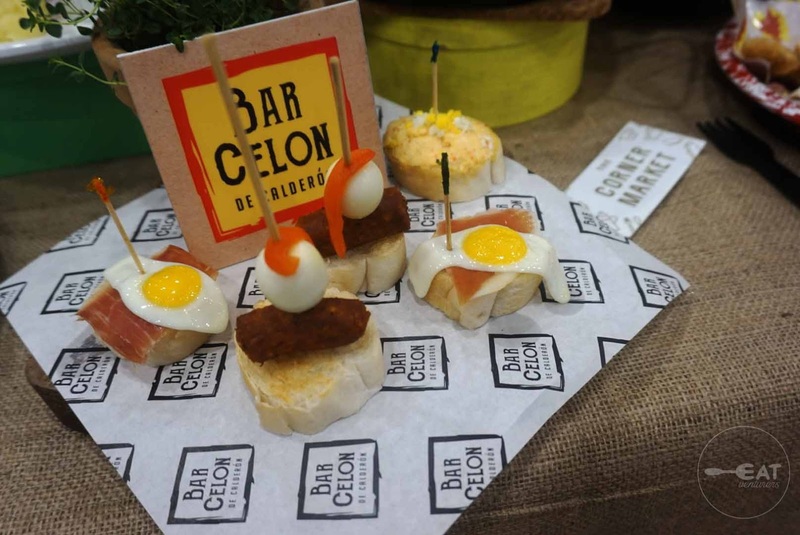 Corner Food Market's game is strong as it even houses Spanish food stall Barcelon de Calderon. Barcelon offers paella (solo serving), tapas, salsa, and especialidades such as lengua con setas, callos, and caldereta. We can say that even if their paella is solo serving, it can still be for sharing because of the generous serving. From Spain, let's savor Japanese treats from Inari by Hamaru. 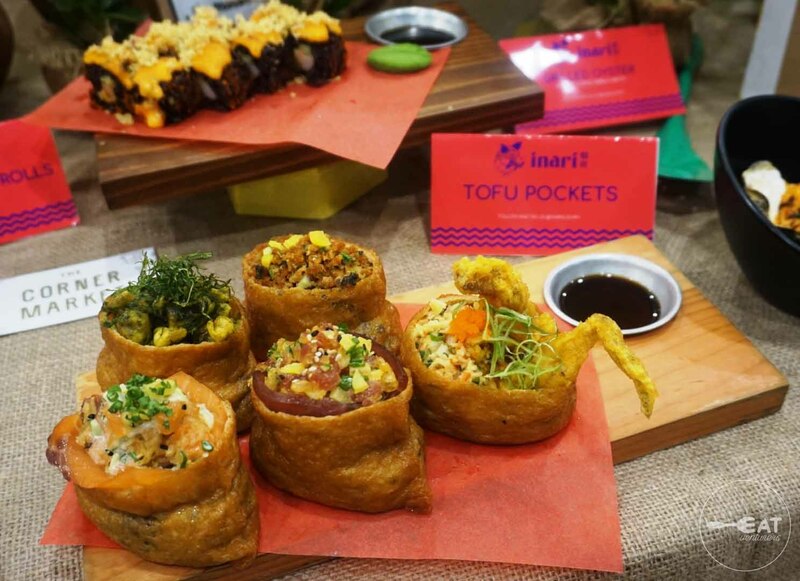 Inari is named after the shinto god who is believed to have a fondness for fried tofu. 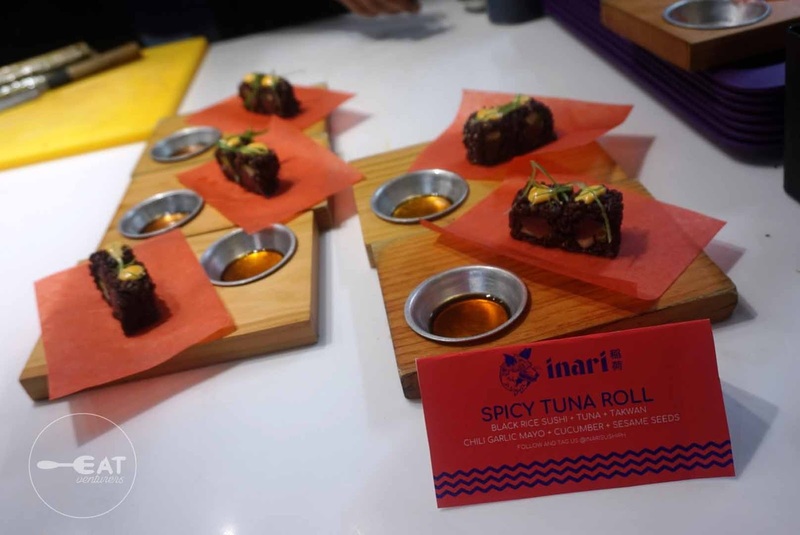 Like your usual Japanese restaurant, Inari offers sushi rolls but with a twist as they are using black rice. 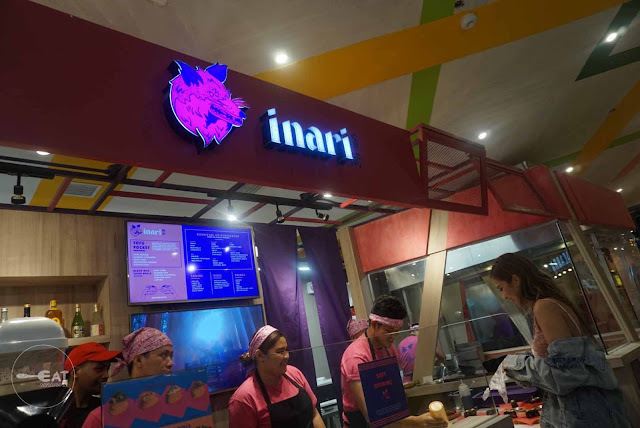 Black Rice Sushi rolls is priced at P125 to P155. They also had modern take on Japanese treats as they also offer tofu pockets, grilled or fried skewers, and sides such as grilled oysters, and miso soup, among others. From the makers of Mexicali and El Chupacabra comes La Taqueria Del Chupacabra. 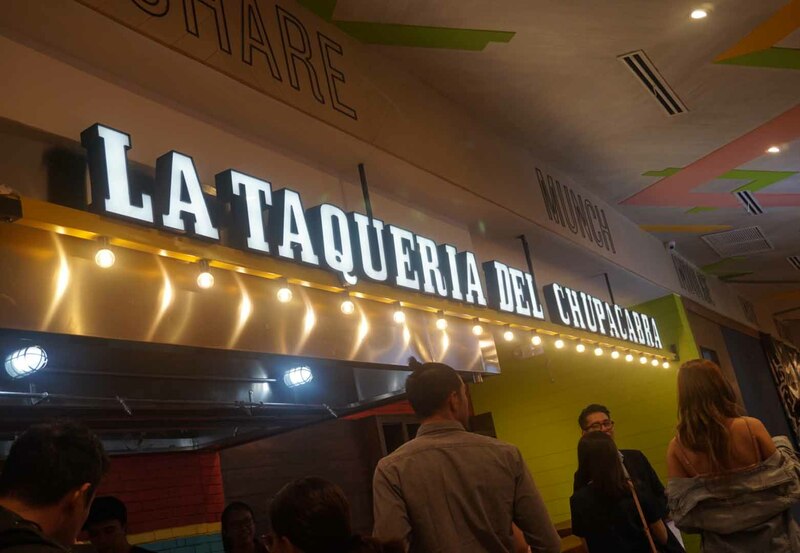 It is basically El Chupacabra inside a mall, still offering tex-mex dishes. Let's head on back to Asia and try farm-to-fork freshness Vietnamese food of Ca Phe Saigon. 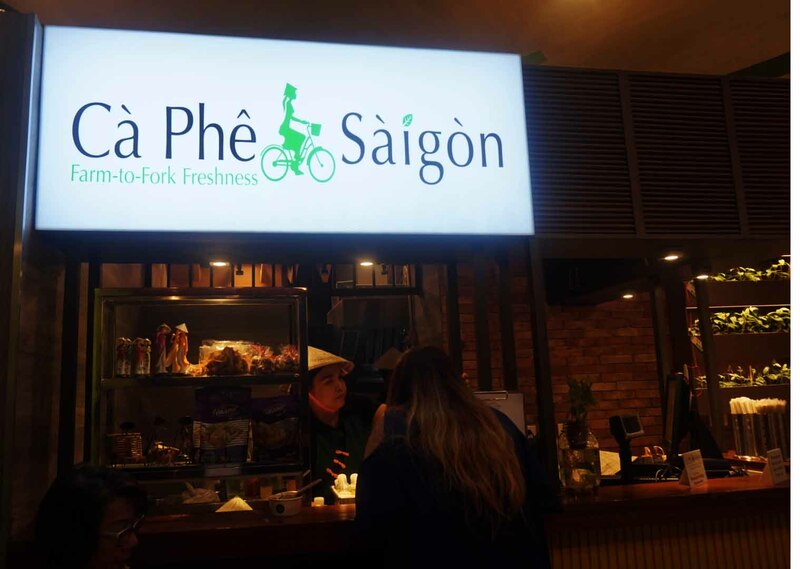 We were only able to try their spicy mango drink but they also offer rice meals, dry and soup noodles, salad, rolls, banhmi, and drinks and dessert. 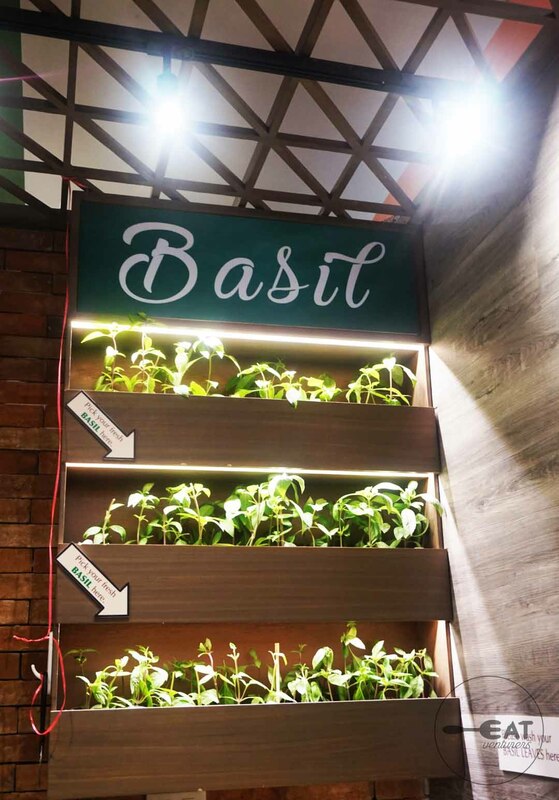 Ca phe Saigon also sells basil plant. Little Kaya is the food stall version of Kaya. 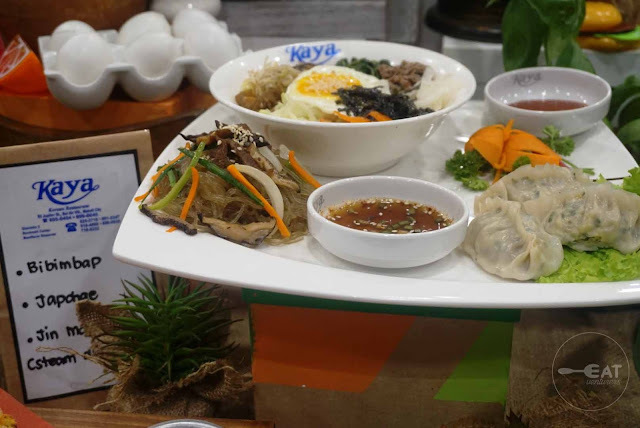 Like the regular Kaya, it is still offering Korean dishes, only, with smaller serving and these are sold at cheaper price. 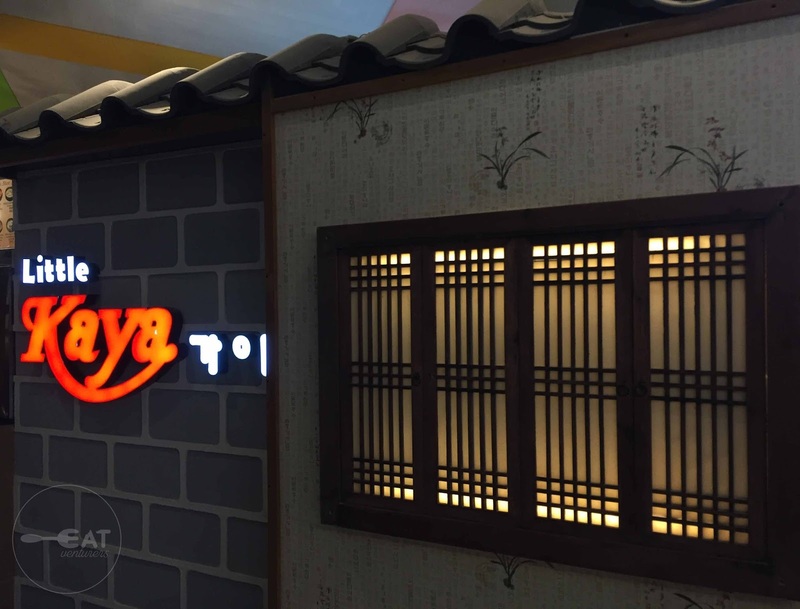 We tried their Bibimbap and found it just alright. 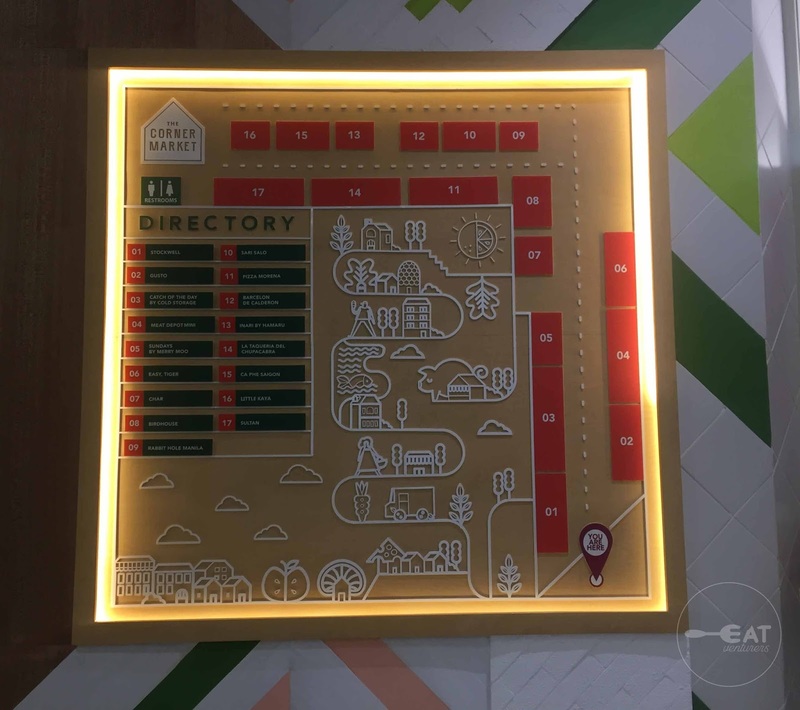 We were not able to try Sultan as it was not yet open during our visit but it offers authentic Mediterranean flavors such as by kebabs, falafel, shawarma, biryani, and more. Sultan's best-sellers are kebabs, marinate in secret blend of herbs, spices, and grilled to perfection. If you are a worker in Ortigas or just happen to visit The Podium, surely stopping by The Corner Market Food Hall will resolve your eternal "Saan tayo kakain?" 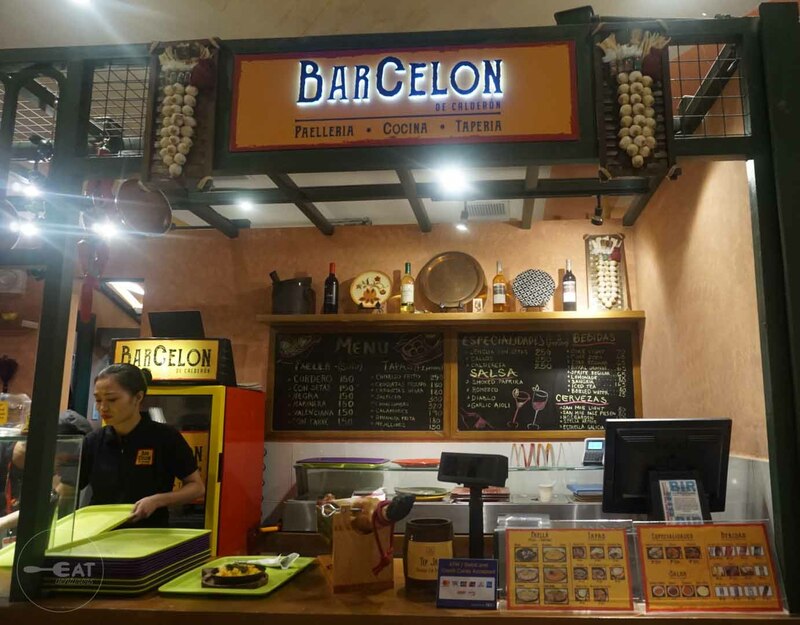 dilemma as the 17 stalls deliver your faves from Asian to American, to European, to South American cuisine and our very own, Filipino cuisine.